Good etiquette says you should be sending your holiday cards out now. 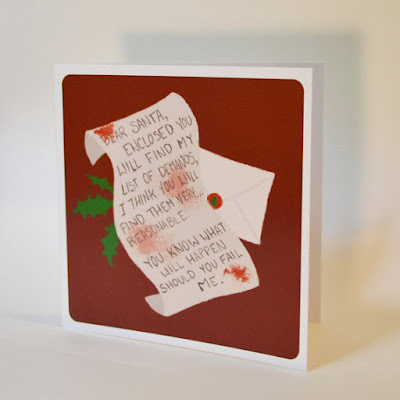 I am still shopping/thinking of making my cards so I guess my manners are out the door. 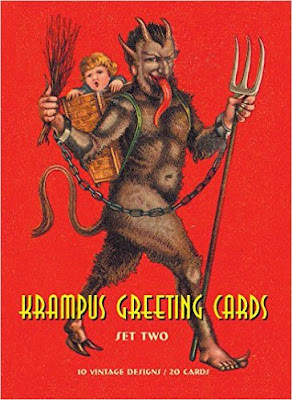 If you are in the same sinking ship as me here are a few creepy holiday cards that may grab your interest! 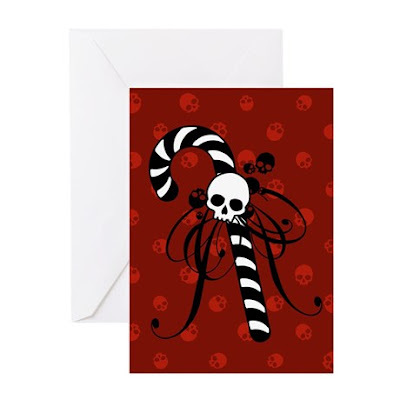 Tiny skulls dotting the deep red background is a nice off set to the swirly ribbon and skull candy cane on this festive card. 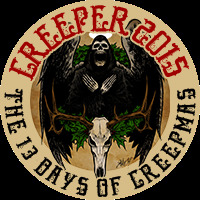 Ophelia's Art has other cards perfect for your spooky holiday needs as well. 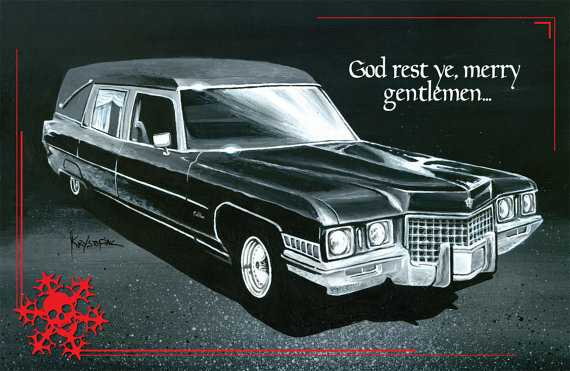 What an awesome Hearse card from ellipsisdesign - perfect for those fond of death culture or neat-o cars! How about sending some festive cheer to the children in your life via Krampus cards! Remind them that no one likes a cry baby! No need to scream your demands with this card on your side. See you in line at the post office! Love these! The hearse one is my fave!